within the agreed time frame and we'll ensure you are satisfied. There are no hidden costs. What we quote is what you pay. If the scope changes during the project then a new quote will be agreed before proceeding with any changes. When the website is delivered, Joomla!™ and all third party extensions will be up to date and free from malicious code. Webilicious® maintains a subscription to a website security scanning service to ensure websites are delivered clean. 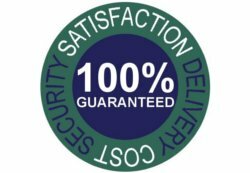 If we exceed the agreed delivery date then we'll reduce our fee by 10%. We won't invoice you until you are 100% satisfied with your new website. Note that we do charge 50% up front on web design and development jobs to cover setup and other costs and this fee is not refundable.